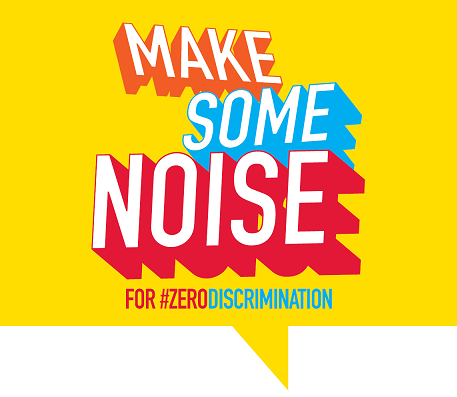 Today (1st March) is Zero Discrimination Day. This is an annual worldwide event that promotes diversity and recognizes that everyone counts. This day urges people to join together against discrimination and celebrate everyone's right to live a full and productive life with dignity. Russia and China have vetoed a UN resolution to impose sanctions against Syria over its alleged use of chemical weapons. It is the 7th time Russia has vetoed a UN Security Council resolution to protect the Syrian government. Note : Syria agreed to destroy its chemical weapons in 2013 under an agreement negotiated between Russia and the US. To restrict immigration and smuggling, India has built a 2,700-kilometre barbed-wire fence around Bangladesh. Today is 41st Civil Accounts Day. The Centre has decided to amend the rules to allow online filing of performance reports of IAS and IPS officers. This move will help in checking delayed submission of the confidential reports and claims of bias in giving low ratings to an officer. The rules would be applicable to members of all India services – IAS, IPS and IFoS. The Ministry of Electronics and Information Technology has asked banks to get all the accounts enabled with net banking by March 31 this year. A third of all bank accounts across the country are not linked to the internet yet, the government said. One lakh common service centres already launched by the government will help the banks on the move. The Unique Identification Authority of India (UIDAI) has temporarily halted all Aadhaar-based transactions by Axis Bank, and two other firms, over a recent instance of misuse of biometric data. The UIDAI had filed a police complaint against the three entities after one individual was found to have performed 397 biometric transactions. The three entities have submitted explanations to the UIDAI. Retailers in Tamil Nadu will boycott global cola giants Pepsi and Coca-Cola, along with all their other soft-drink products, from today (March 1), citing health and environmental concerns. The decision, taken by major traders' associations, aims to promote home-grown businesses and products. Reserve Bank of India (RBI) today announced setting up of the inter-disciplinary standing committee on cyber security to review the threats inherent in existing and emerging technology. The 11-member committee will study the adoption of various security standards and protocols, and suggest appropriate policy interventions for strengthening cyber security and resilience. Singer Rihanna has been honoured with the 2017 Harvard Humanitarian of the Year award. She received the award for her work in her native island of Barbados and the charities she has founded over the years. India today successfully test-fired its indigenously developed supersonic interceptor missile capable of destroying any incoming enemy ballistic missile at low altitude. The interceptor was engaged against a Prithvi missile taking the trajectory of a hostile missile. A team led by John Goodenough, co-inventor of the lithium-ion battery which is being used in home electronics and phones, has developed the first solid-electrolyte battery that could lead to safer, faster-charging batteries. The new noncombustible battery has a longer life, up to 3 times more energy density than current liquid-electrolyte Li-ion batteries and operates under 60ºC. Gujarati writer Taarak Mehta (87), best known for his columns which were adapted for TV sitcom 'Taarak Mehta Ka Ooltah Chashmah', died today. He has written over 80 books, six popular Gujarati plays and was honoured with the Padma Shri in 2015. Indian shooter Jitu Rai won the Gold medal in the 50-metre air pistol event at the ISSF World Cup in Delhi today, with a world record finals' score of 230.1. This is Jitu's third medal in the competition, having won a gold earlier in the 10-metre air pistol mixed team event, and a bronze in the men's 10-metre air pistol. The Union Government today felicitated Dipa Karmakar, besides six other Olympians from northeast states, as part of their outreach to sportspersons from those states. The athletes, who were awarded ₹2 lakh each, included women's hockey team captain P Sushila Chanu, archer Bombayla Devi and boxer Shiva Thapa.